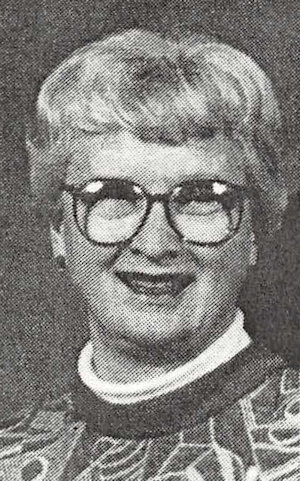 Obituary – Newton, Velva Elaine (Treadway) « Perry High School Alumni Association, Inc.
﻿Pallbearers have been named for the funeral of Velva E. Newton who died Thursday. Funeral will be at 2 p.m. Tuesday at the First Presbyterian church. Rev. Ken Waddell, pastor of the church, will officiate. Burial will be at Grace Hill cemetery under direction of Brown Funeral Home. Bearers will be Bart Brorsen, Ed Malzahn, David Muir, Fred Beers, Jack Dolezal and Jerry Cronin. Survivors other than her husband, Jack D. Newton, of the home include one daughter, Mrs. Richard (Faith Anne) Lemler, Stillwater; one son, J. D. Newton, Charlotte, N.C.; one sister, Mrs. Steve (Jobyna) Shepherd, Edmond; one brother, Durrell Treadway, Midwest City, and four grandchildren.